Travel to Tulum, Mexico, where you will experience sandy white beaches along crystal blue waters and find renewal in undisturbed nature. Enjoy 7 days/6 nights in a beautiful, organic Eco-chic wellness resort. Monica and Joni have partnered to bring you this soulful and revitalizing experience. Linda will also be offering her unique perspective on applying meditation to everyday life situations. Both Beginners and advanced Yogis are welcome. There will be Vinyasa Slow Flow, Restorative, Yin and Meditative classes available. Enjoy the freedom to do all of the Yoga Classes or sleep in each day. This is your journey, but know the more you practice, the more transformation happens! Reserve your spot today as space is limited! Spacious interiors with 2 queen beds with an ocean view. Cozy and simple, this room is a great option for the solo traveler who desire peaceful relaxation. A spacious room in the garden. This is an ideal choice when you're travelling with family or friends. The Garden Double room is a bright and large room with a modern twist. 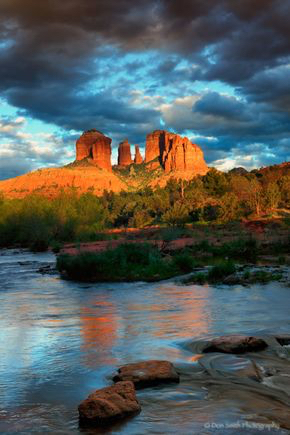 Our absolutely Gorgeous 2.5 acre property consists of 10 luxury cabins that are tucked right up on the Red Rocks of Oak Creek Canyon, Sedona, AZ with Breathtaking views in every direction! The morning practice will energize the body, mind, and spirit with an alignment based flow yoga class to prepare us for our day's adventure. The evening practice will restore and relax with a meditative yin yoga class. We will gather for satsang, mindful talks, and deepen our meditation skills. Paya Bay is a beach, nature, leisure, and wellness resort catering to those seeking serenity, tranquility, and communion with nature. Our boutique resort is perched on a bluff overlooking the multi-hued Caribbean Sea and two beautiful half-moon beaches. The Mesoamerican Barrier Reef (the world's second largest reef system) lies just a 100 yards offshore. The gentle tradewinds keep ambient temperatures cool and comfortable. Soaring music gives your spirit wings. Paths through enchanting nature you will love to explore. Beautiful energy to breathe in. The perfect place to rest, relax and rejuvenate. Paya Bay invites you to 'Feel Good, Be Happy'! We will have two yoga classes a day, Vinyasa Flow and Yin Yoga, yet leaving significant time for you to relax, unplug and reconnect in a luxurious environment. Paya Bay’s mantra is “Feel Good, Be Happy.” Tasty, wholesome food is a critical part of feeling good, which, arguably, is a prerequisite for being happy. Our menu includes a variety of healthier options designed to maximize energy and supply necessary nutrients while minimizing the stuff that can slow you down when consumed in excess (saturated fat, cholesterol, sugar, etc.). Another part of feeling good comes from knowing that we are being conscientious and respectful of the sacred Web of Life. We are making an effort to minimize the use of any local species that are being overfished, as well as specific non-endangered species whose commercial production is considered harmful to the global environment. There is also a great bar facility with a delicious plunge pool located perfectly at beach level! A great place to take a freshwater plunge after swimming in the ocean or to enjoy sunset cocktails. Your room is your private space during your vacation. We want to make sure you have the creature comforts you expect, plus a little something extra that is unique, special, and out of the ordinary. 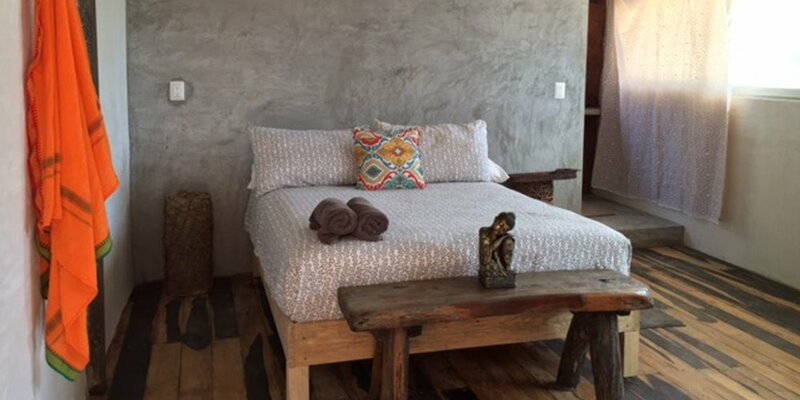 Our rooms have an island bungalow look and feel with their high ceilings and wooden floors. The views from your private balcony are beautiful views of the beaches right outside your door. You will drift off to sleep to the soothing sound of waves breaking on the rocks, the beaches, and cliff sides. DVD Player. We have a collection of DVDs you may borrow. The peninsula on which the resort is located has nearly a mile of waterfront. On the property you will find a large beach (Big Beach) that is visited by locals and guests from other resorts, a bluff on which the restaurant sits, imposing cliffs, a smaller private beach known as Bliss Beach, a very large rock formation shaped like an alligator's head that contains the Tropical Garden Reserve, a small cove called Secret Cove, a large cove called Buccaneer Landing, an islet with a bridge to it, a private rock island, a small ridge covered in dense tropical jungle, and the multi-acre Wetlands Reserve. Really a numerous and extraordinarily varied collection of features you will find fascinating to explore and enjoy. For some people, the ideal vacation is had by simply relaxing, reading a good book under the shade of a coconut tree on a beautiful private beach, swimming in the clear Caribbean or taking a dip in the pool, and getting a good tan. Other people, in addition to the above, add some activities like snorkeling, hiking, scuba diving, sea kayaking, horseback riding, local and deepwater fishing, bird watching, island exploration, hitting some local bars, and so on. 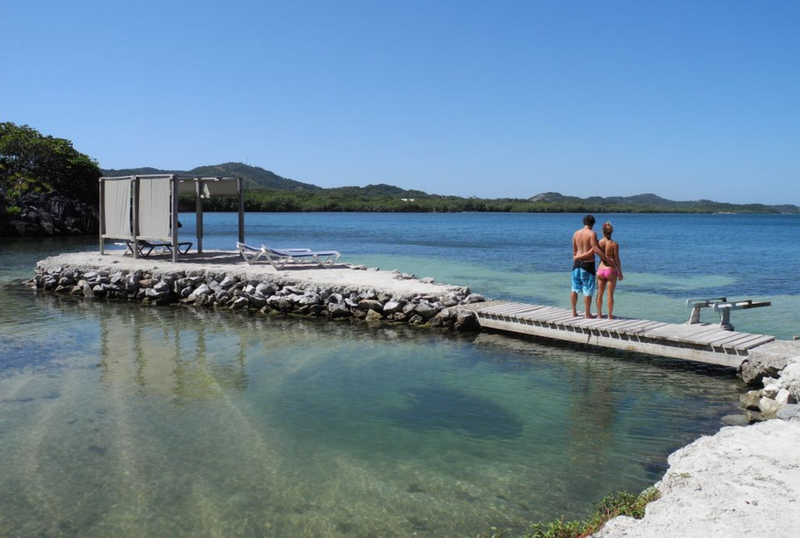 No matter what floats your vacation boat, you can find it at Paya Bay! A wellness boutique hotel on the beautiful island of Roatan in the Central American Caribbean. 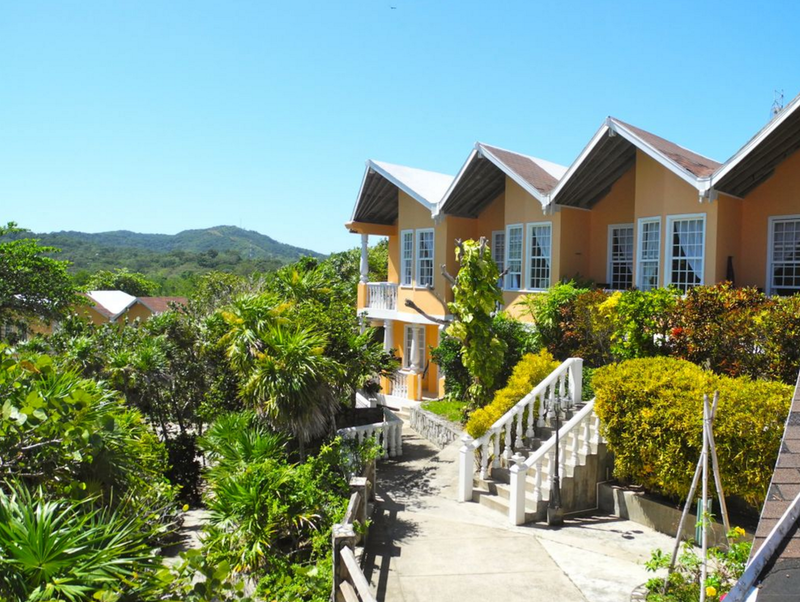 We boast an an enviable beach location and superb views of the beautiful Caribbean sea. At Paya Bay, nature reigns supreme. It strives to be in harmony with the environment. We believe in doing good to all that is around us, as this releases "good energy." Good Energy is that yummy stuff that makes us feel good and makes life more pleasant and happy. It is also an easy 45 minute drive from the airport to the resort. 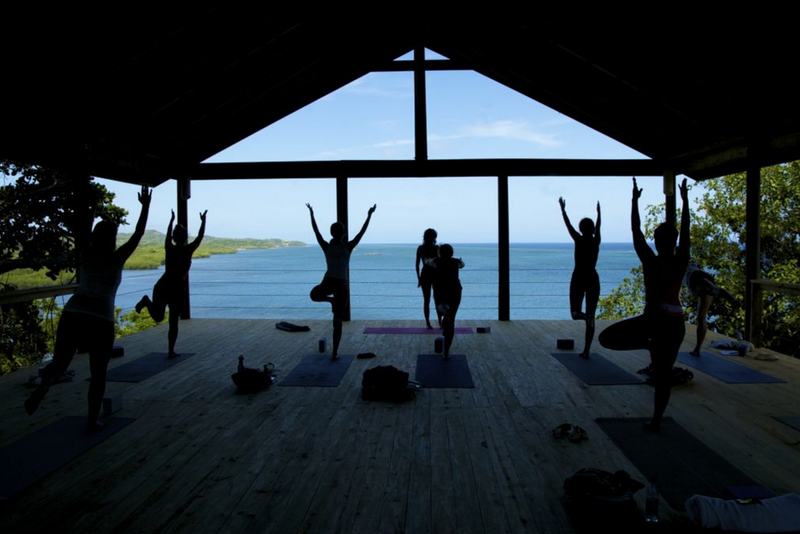 Press pause on life and join us for an amazing week of yoga, relaxation and adventure at a breathtaking eco resort. Finca Luna Nueva offers the best of lush gardens, hiking trails and secluded jungle with many options for outdoor adventures! We will have two yoga classes a day, meditation and mindfulness classes and several group excursions, yet leaving significant time for you to relax, unplug and reconnect in a luxurious but eco-friendly environment. The daily menu is an assortment of organic greens, tubers, fruits, and herbs from the certified organic biodynamic farm and the selection of meat when available is from the farms pasture raised animals. The food is prepared with nourishing ingredients and lots of love. Costa Rica is one of the planet’s most naturally splendid and biologically diverse regions. With its well-established system of national parks, dramatic volcanoes, misty cloud forest, and deep river valleys make it an ideal destination for the adventure minded and became known as the poster child of ecotourism. Sun and beaches, adventure, nature and culture; Costa Rica is the ideal destination. The eco conscious retreat center is built on a 200 acre organic farm and has evolved into one of the largest medicinal herb gardens in the world with over 300 tropical medicinal plants. Finca Luna Nueva truly offers a unique opportunity to rediscover nature.